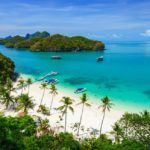 Top 5 beautiful & best islands near Bangkok you should visit - Living + Nomads – Travel tips, Guides, News & Information! 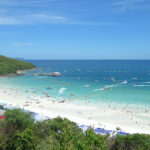 Although Thailand is famous for its beaches with stretches of white sand, most of the famous islands are in the south. The only way to get there is by plane or at least daytime for driving car. However, the following islands are very close to Bangkok, making it easy for you to choose the journey to Bangkok by your self. 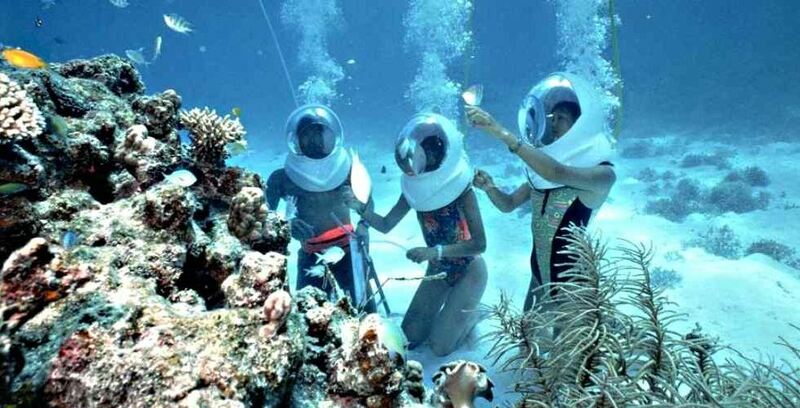 Especially you will not lose much time to send your friends a glimpse of charming beaches. 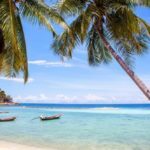 Let discover top 5 beautiful & best islands near Bangkok you should visit with Living Nomads below. 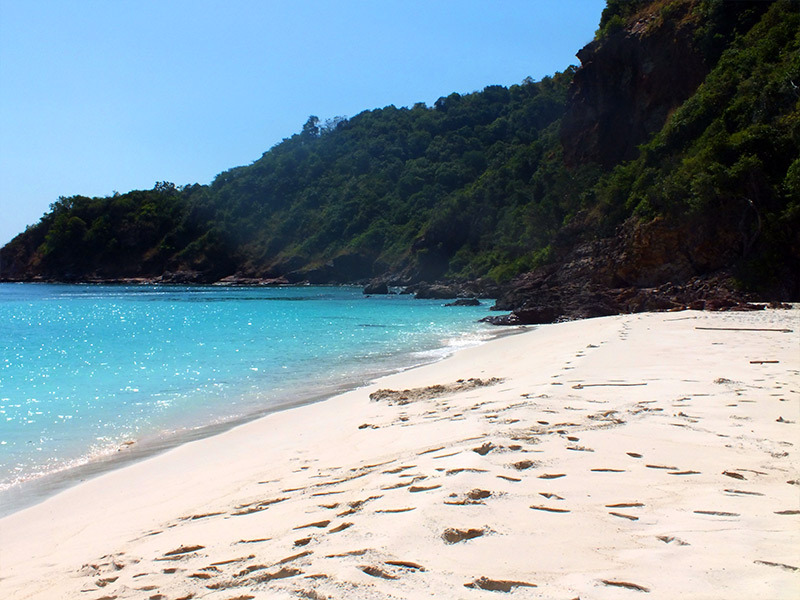 A beautiful beach of Koh Larn island. 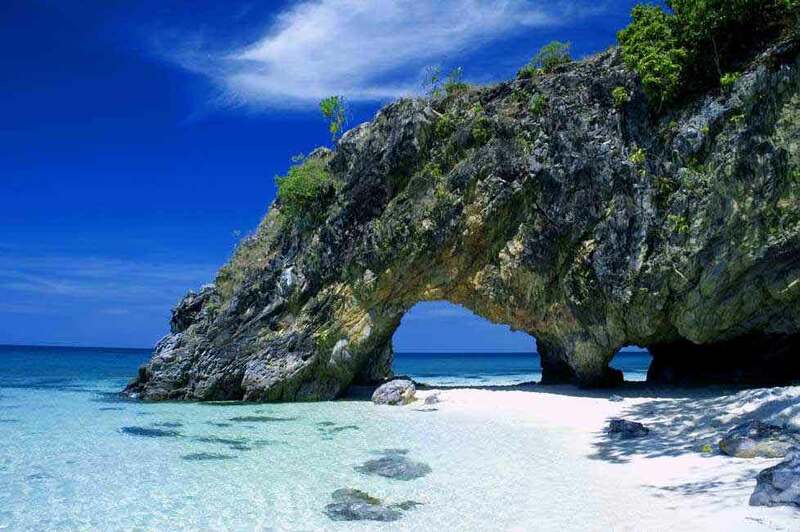 It is one of the best places for you to visit in Thailand. Picture: beautiful islands near bangkok blog. 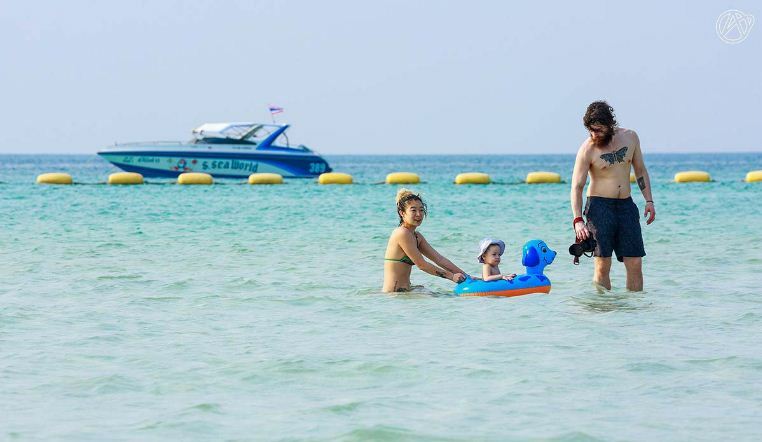 Many visitors are disappointed with Pattaya as they search the horizon on the sea along the smooth white sand. 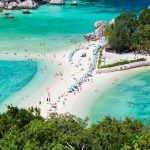 The best solution is that if you want to enjoy a tropical paradise, is to board a boat to Koh Larn nearby, also known as Coral Island. 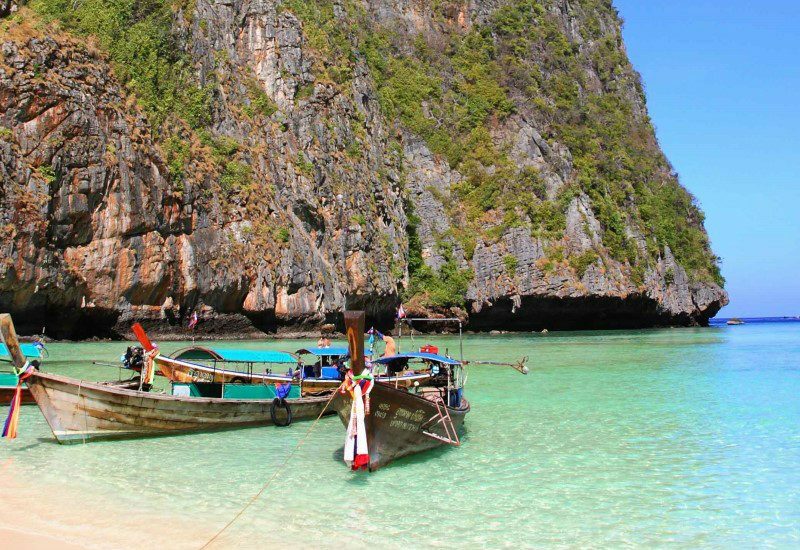 This island is perhaps the only island near Bangkok that offers you a soft white sand beach and amenities like restaurants and water sports. 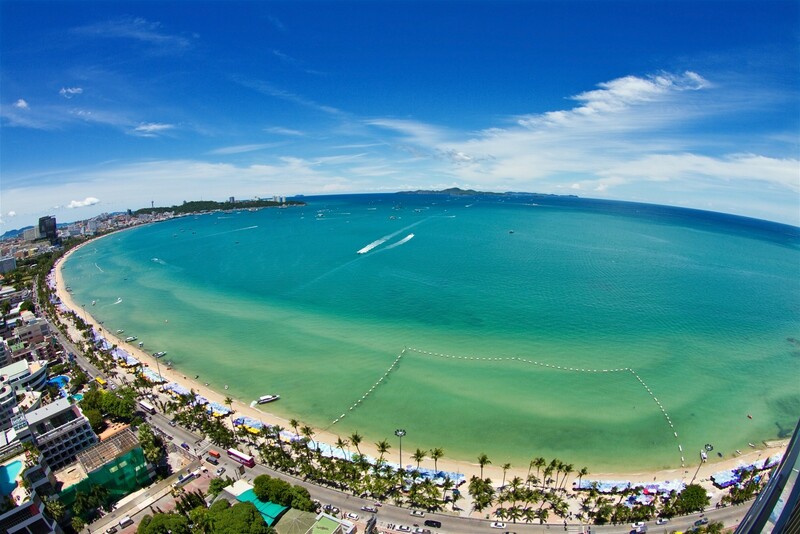 Many visitors are disappointed with Pattaya as they search the horizon on the sea along the smooth white sand. Image by: best islands near bangkok blog. 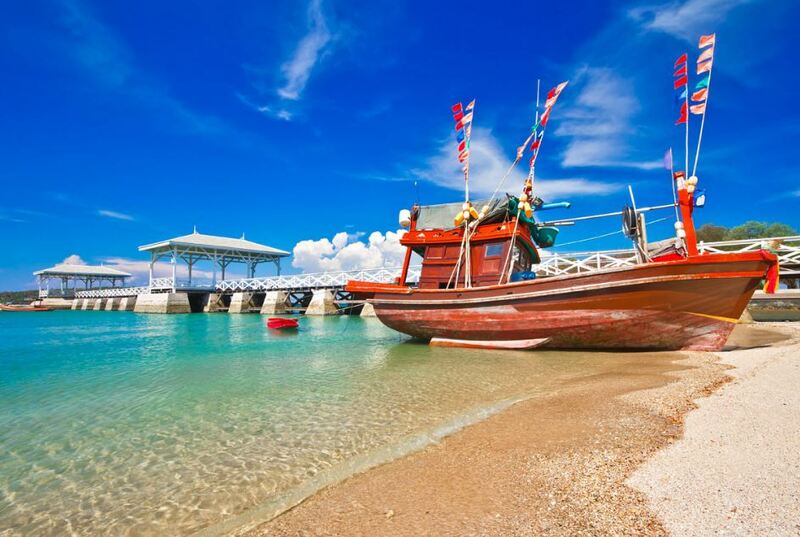 The best solution is that if you want to enjoy a tropical paradise, is to board a boat to Koh Larn nearby, also known as Coral Island. Photo by: islands near bangkok for honeymoon blog. This island is perhaps the only island near Bangkok that offers you a soft white sand beach and amenities like restaurants and water sports. 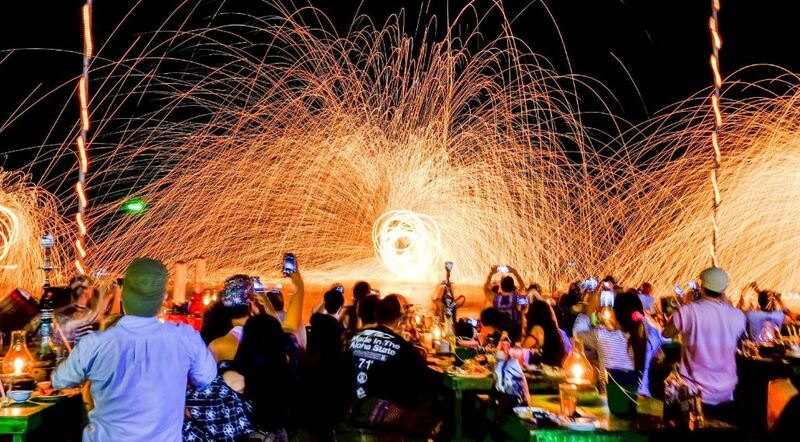 Credit: tourist islands near bangkok blog. Koh Larn is very close, easy to get to and you can even return in the day if you take the time to start your journey early. The seafood restaurants along the beach are beautiful as the pictures. 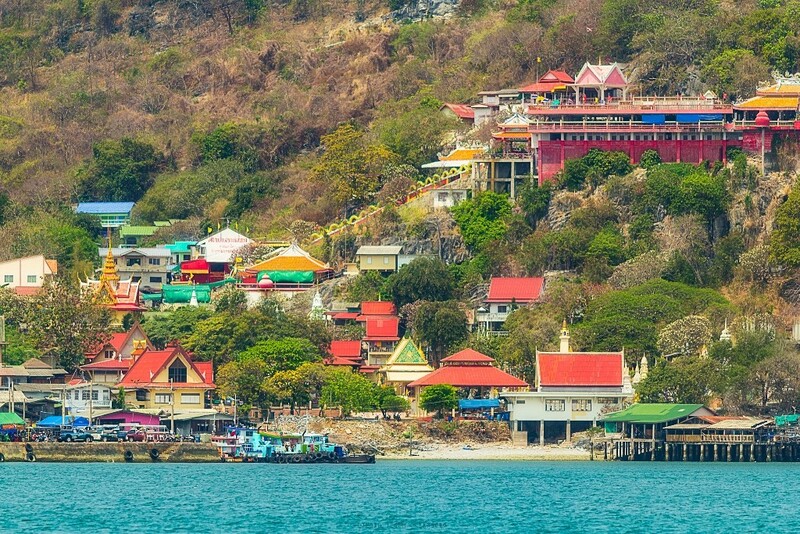 If you want to find some quiet, catch the Songtheaw taxi to go to the west coast for relaxation. Koh Larn is very close, easy to get to and you can even return in the day if you take the time to start your journey early. If you want to find some quiet, catch the Songtheaw taxi to go to the west coast for relaxation. Image by: best islands near bangkok blog. 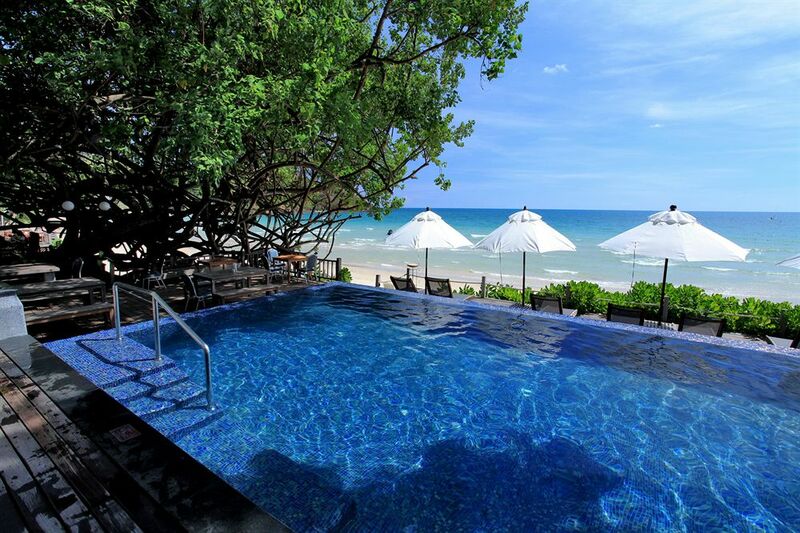 + Accommodation: Koh Larn Island is quite small and not yet widely exploited, but there are two quite interesting places near the beach: Xanadu Beach Resort and Lareena Resort by The Sea. + How to get here: The bus routes from Ekkamai or Victory Monument (fare 150baht) to Pattaya. Pattaya’s Bali Hai pier takes about 50 minutes (50baht fare) to Koh Larn. 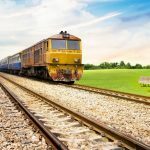 High-speed trains are available at 300baht per person and cost half the time. 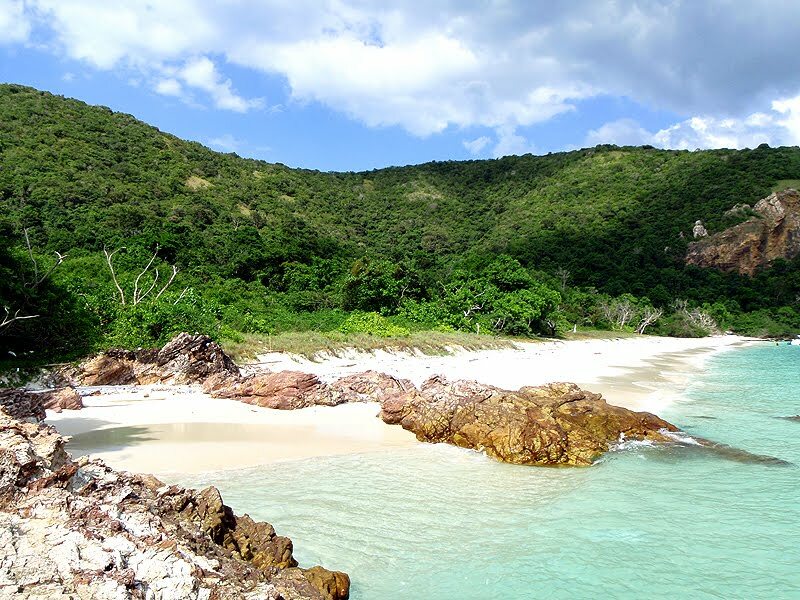 Koh Si Chang or Sichang is very popular with both tourists and locals wanting to relax after a stressful work week. Image by: best islands near bangkok blog. 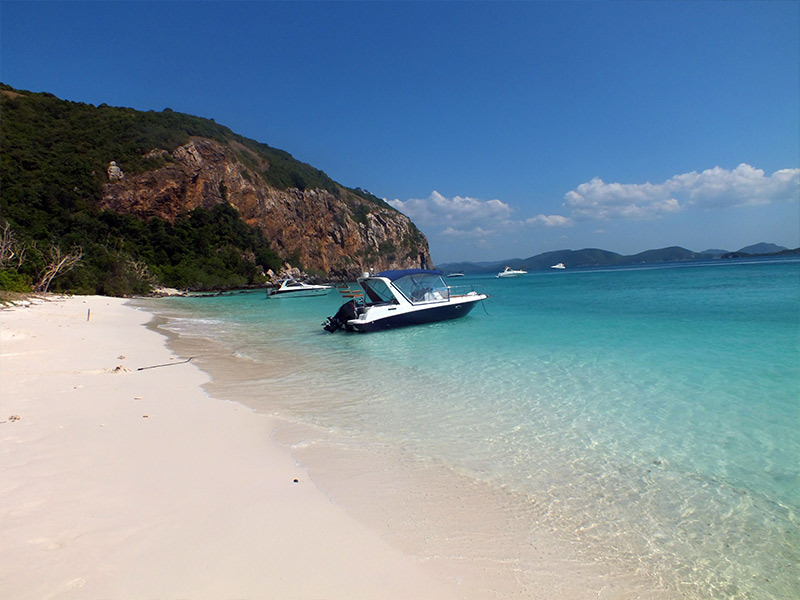 This is the island that is closest to Bangkok, Koh Si Chang or Sichang is very popular with both tourists and locals wanting to relax after a stressful work week. 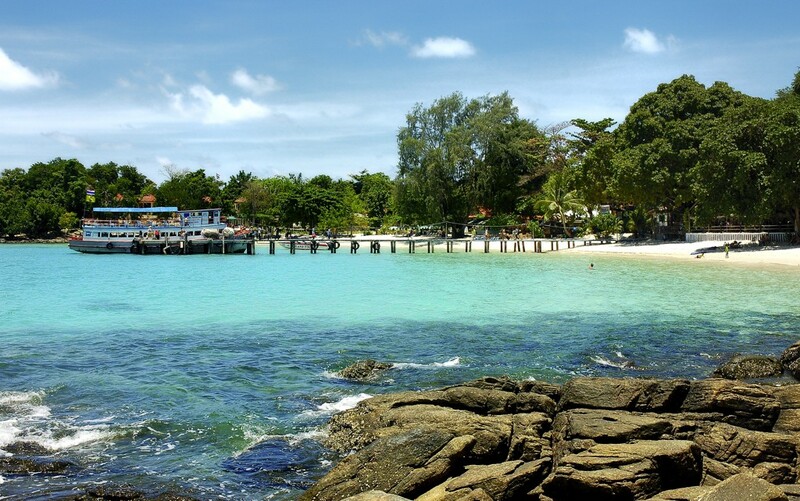 Koh Si Chang or Sichang is very popular with both tourists and locals wanting to relax after a stressful work week. Photo by: islands near bangkok for honeymoon blog. The sea lovers may not be impressed with the quality of the sand in Koh Si Chang. 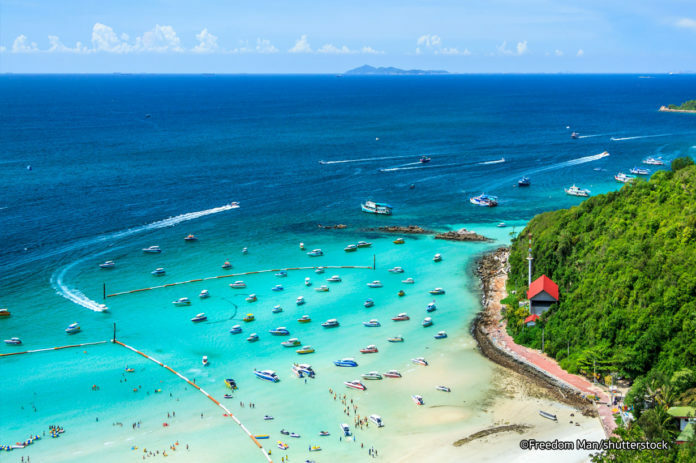 But to compensate for this deficiency, the island gives you the space of ancient fishing villages as well as the small pagodas and the road secluded lagoon with bustling harbor with scuba diving activities. 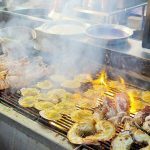 Besides, the island’s dining options are very cheap and fresh with dishes like grilled fish and fresh squid. The sea lovers may not be impressed with the quality of the sand in Koh Si Chang. 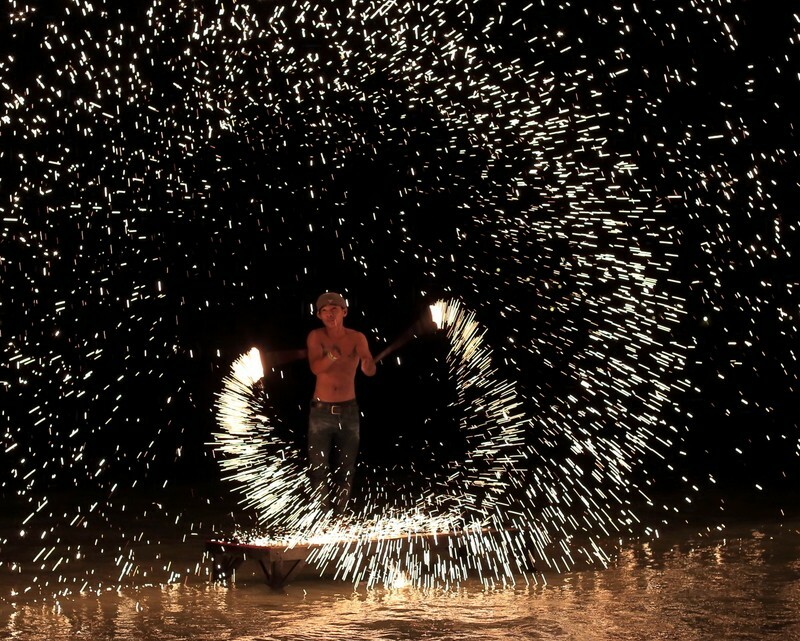 Credit: tourist islands near bangkok blog. 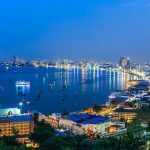 + Accommodation: The facilities on the island are quite basic, most visitors arrive during the day and choose to stay in luxury hotels in Pattaya. + How to get here: Take the bus from Ekkamai Bangkok to Sri Racha Bus Station (100Baht fare and 2 hours). From Sri Racha Port, there are ferries departing at an interval of one hour for 50 baht for one way trip about 40 minutes. 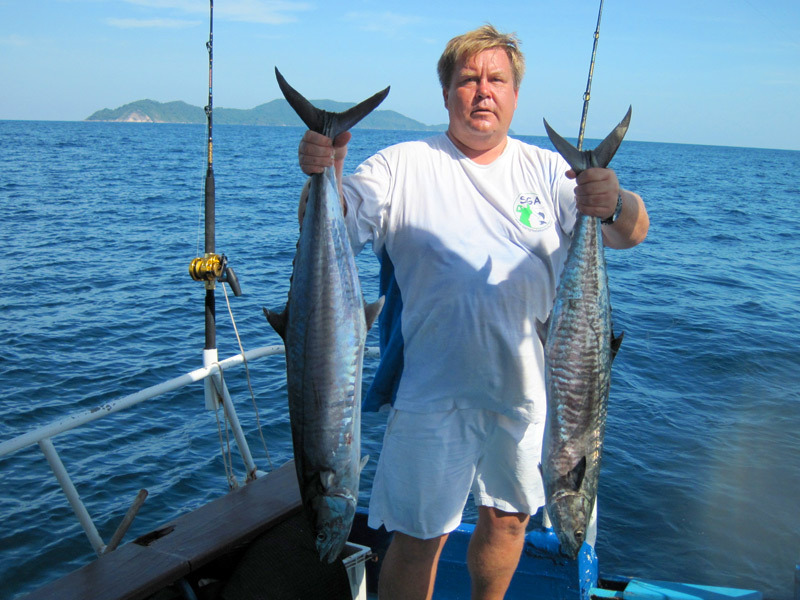 In addition, more convenient, you can explore Koh Si Chang during the day away from Pattaya. 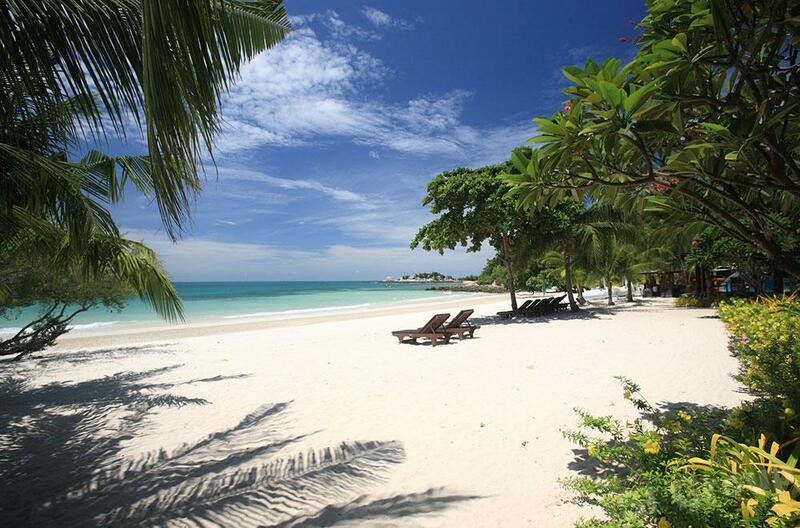 Koh Samed, also known as Samet, is a famous destination for young people and students for weekend parties. 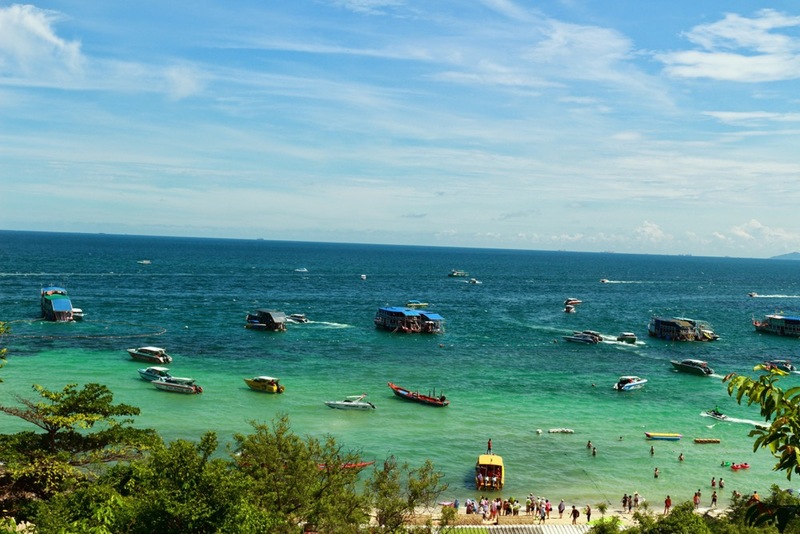 Koh Samed, also known as Samet, is a famous destination for young people and students for weekend parties. It is the hottest island near Bangkok. 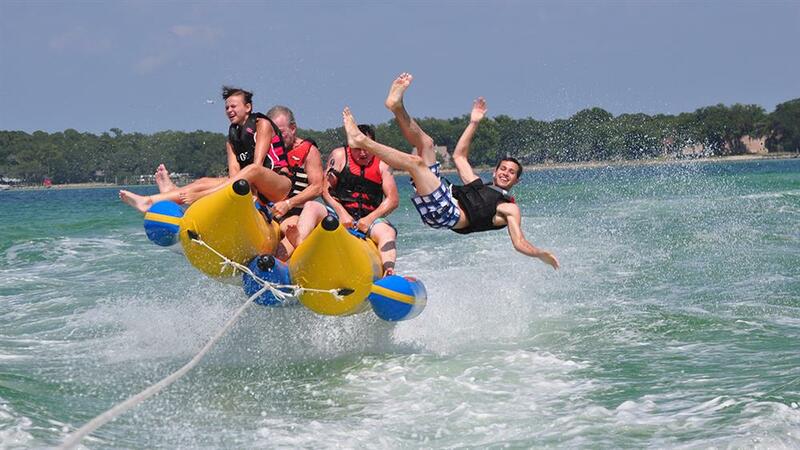 It may take some time and effort to reach the island, so this is not the option for those who want to go on the day. It may take some time and effort to reach the island, so this is not the option for those who want to go on the day. It is the hottest island near Bangkok. Picture: beautiful islands near bangkok blog. 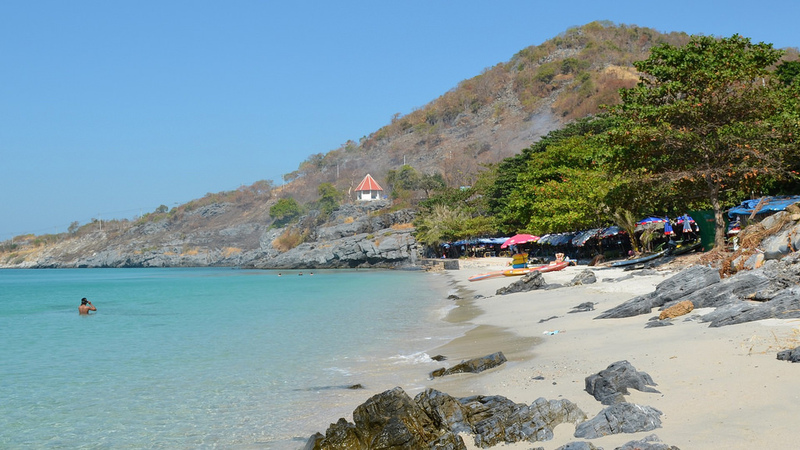 In addition to the freshness, Koh Samed also is proud of many white sand beaches as long as beautiful beaches in southern Thailand that only a few hours away from Bangkok. This is also the place where the weather is hottest in the country. It is an ideal place for those who want to find the dry weather in the long rainy season. You should be prepared to spend the weekend on hotels, bars, and clubs that are packed with people. 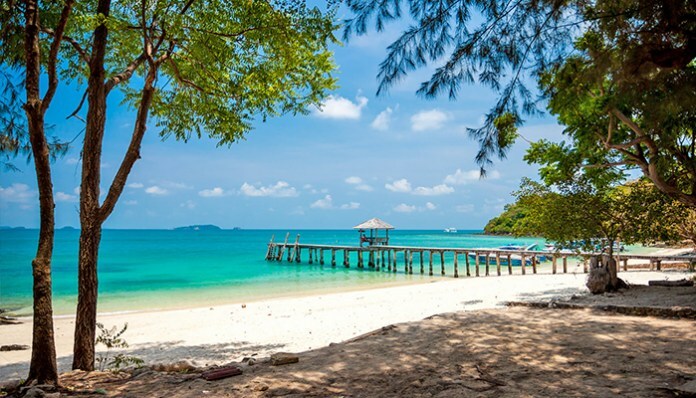 In addition to the freshness, Koh Samed also is proud of many white sand beaches as long as beautiful beaches in southern Thailand that only a few hours away from Bangkok. This is also the place where the weather is hottest in the country. 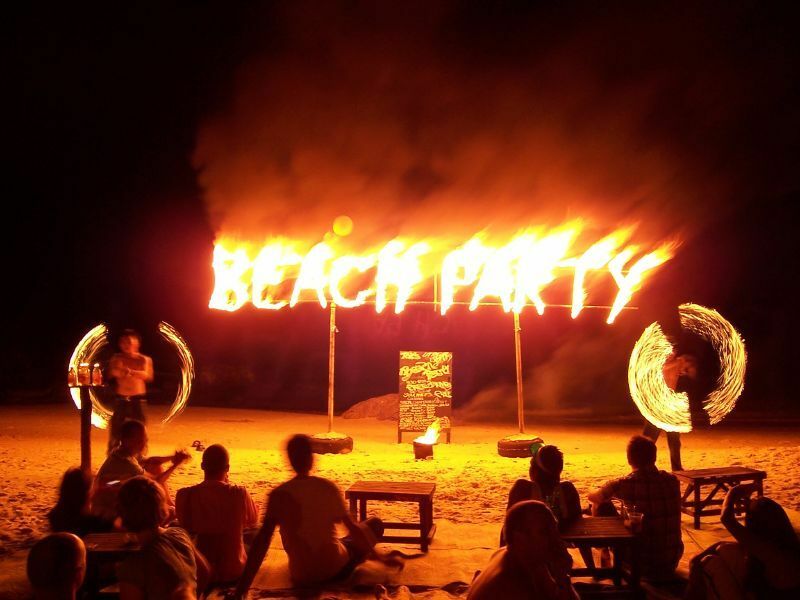 You should be prepared to spend the weekend on hotels, bars, and clubs that are packed with people. Image by: best islands near bangkok blog. + How to get there: Take a bus from Ekkamai Station or Victory Monument in Bangkok to Ban Phe Pier in Rayong (250 Baht fare, 3 hours and a half). High-speed trains to the island take about 20 minutes or the ferry to one hour at 200baht, it takes 1 hour to the island. 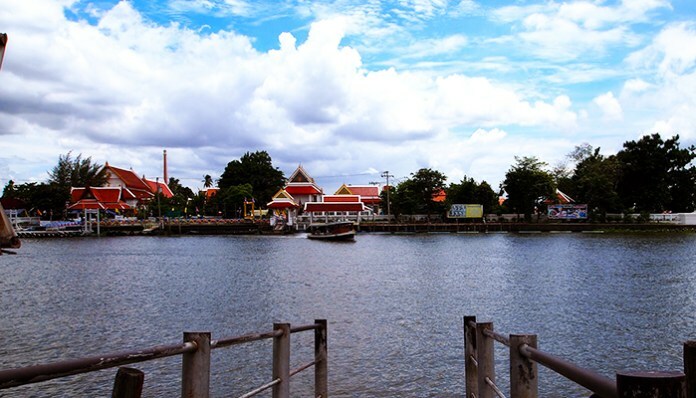 Of course, Koh Kret is not a typical Thailand island. 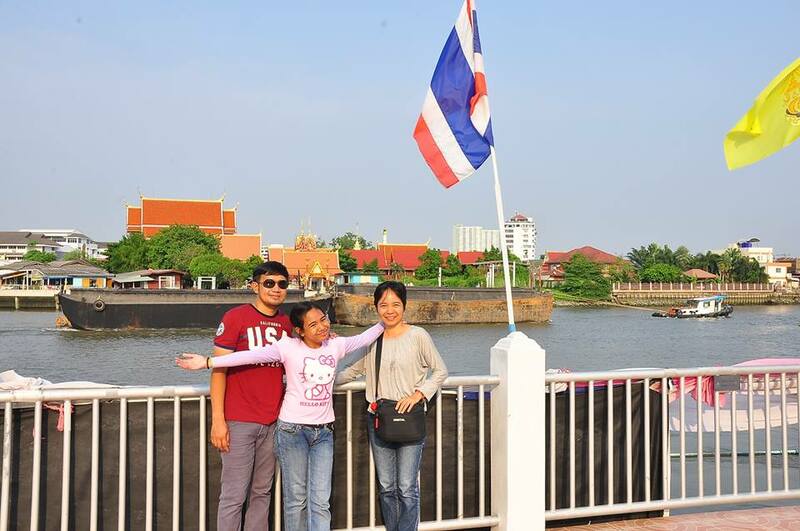 The island is quite small, only about 2 square kilometers, located on the Chao Phraya River. It is famous for the Mon tribe that dominated the island when it was formed during the canal construction in the 18th century. You will not find out the pristine beaches or blue turquoise water shove to shore; However, this place deserves you to spend a day to visit. Just a few kilometers from the city center, Koh Kret offers a glimpse of old Bangkok, rich greenery, temporary roads, and unsafe bungalows. 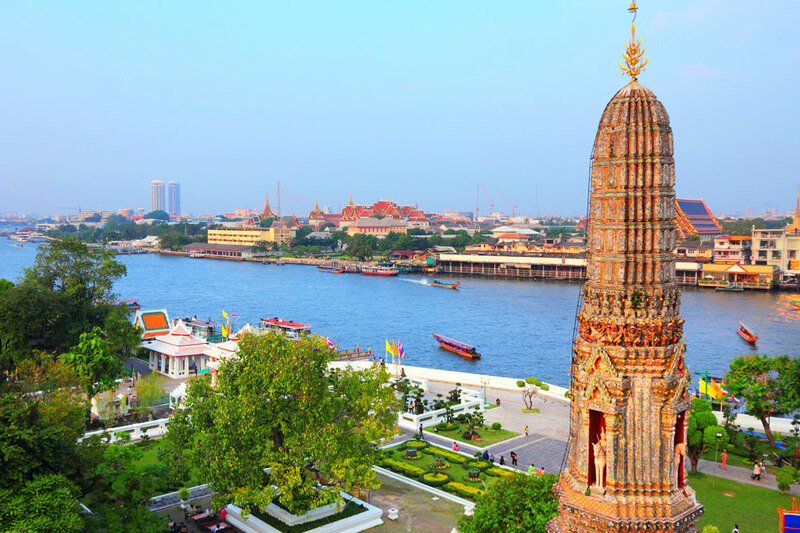 The island is quite small, only about 2 square kilometers, located on the Chao Phraya River. 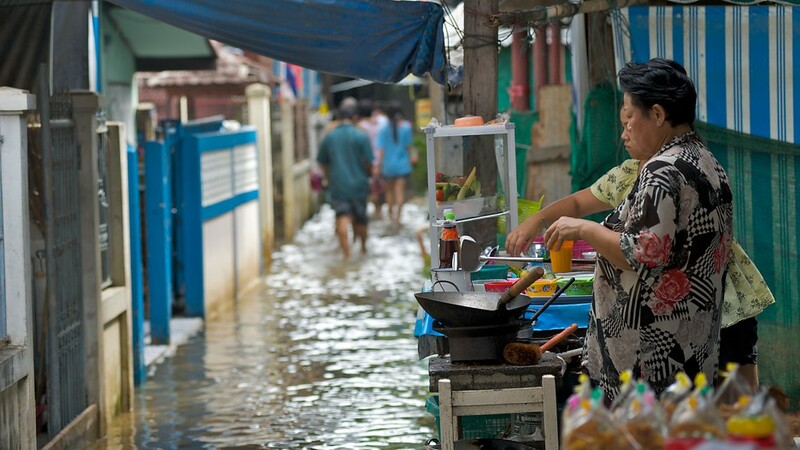 The peaceful life of the people living in Ko Kret Island. Photo by: islands near bangkok for honeymoon blog. Just a few kilometers from the city center, Koh Kret offers a glimpse of old Bangkok, rich greenery, temporary roads, and unsafe bungalows. 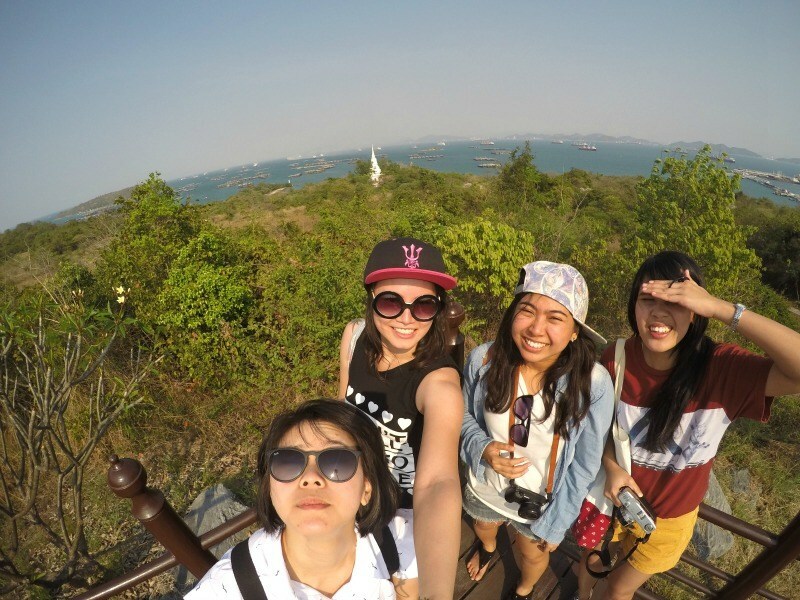 Image: nice island to go to near to bangkok blog. This place deserves you to spend a day to visit. 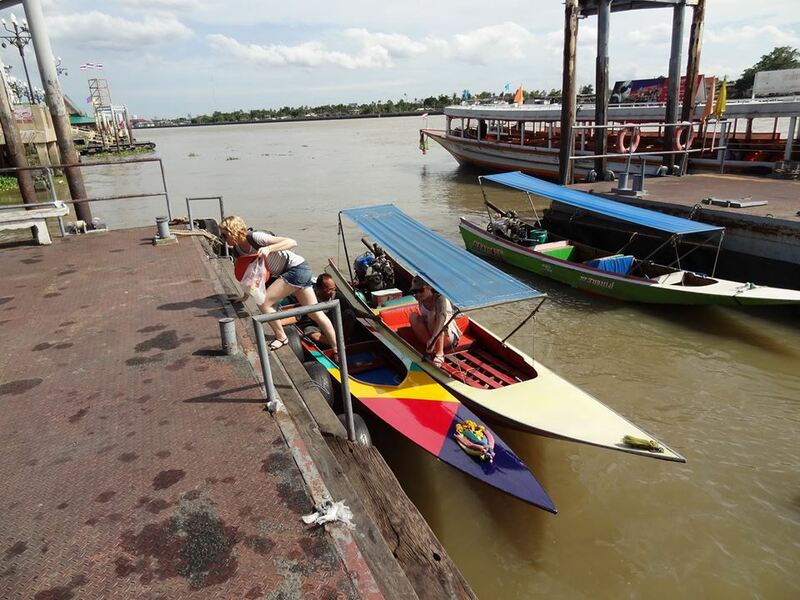 + How to get here: Take a taxi to Koh Kret Pier and take a boat ride (more than 1 minute). Another great way to explore this mysterious island is a cycling tour, where you will be met at the hotel and walk around the island with your bike. 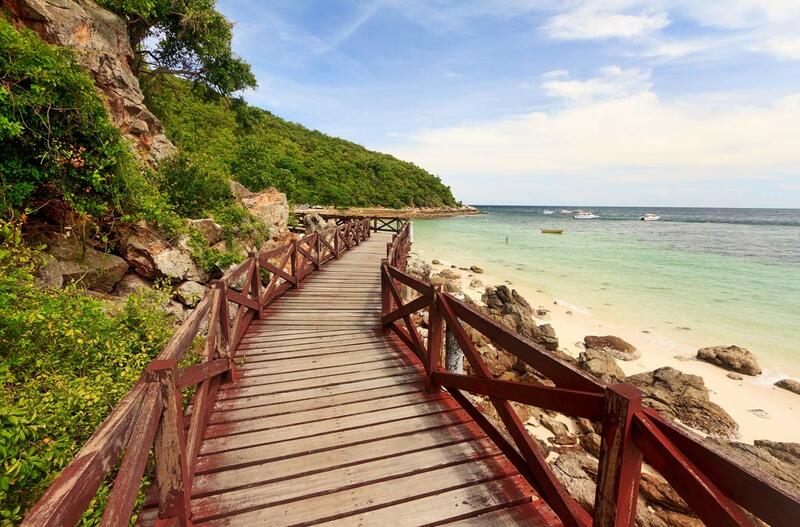 Koh Kram Yai Island, one of the most beautiful islands in Bangkok for you to visit. Image by: best islands near bangkok blog. 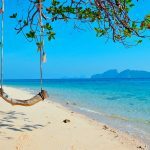 Although the island is only a few kilometers off the coast of Pattaya, when you arrive near this deserted island, you will feel like you just survived a shipwreck. There are no hotel, no restaurant, and no bar. It completely separates from the outside world. 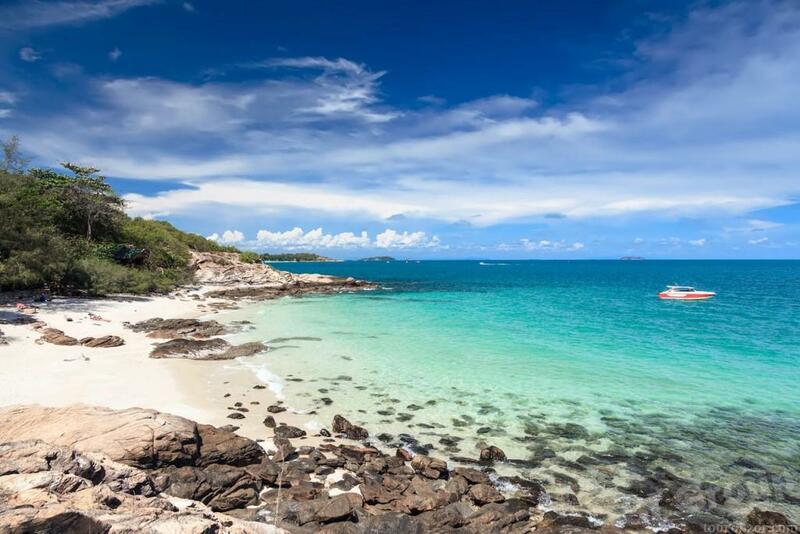 Although the island is only a few kilometers off the coast of Pattaya, when you arrive near this deserted island, you will feel like you just survived a shipwreck. Photo by: islands near bangkok for honeymoon blog. There are no hotel, no restaurant, and no bar. It completely separates from the outside world. The island’s topography has hindered development since most of the island is surrounded by sharp rocks and cliffs. 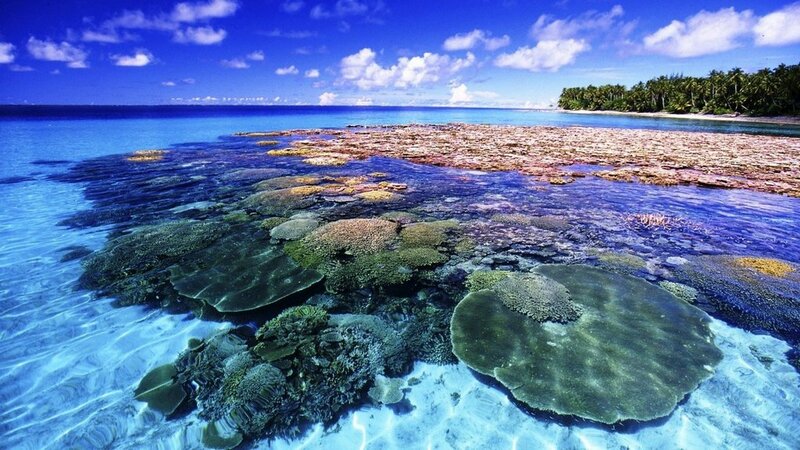 The intrepid travelers can come here and enjoy the serene, tranquil and the picturesque long coastline. You should be prepared to the food, drink, and note that you will not be able to come to the island during the breeding season of the turtles. The island’s topography has hindered development since most of the island is surrounded by sharp rocks and cliffs. Image: nice island to go to near to bangkok blog. Picture: beautiful islands near bangkok blog. 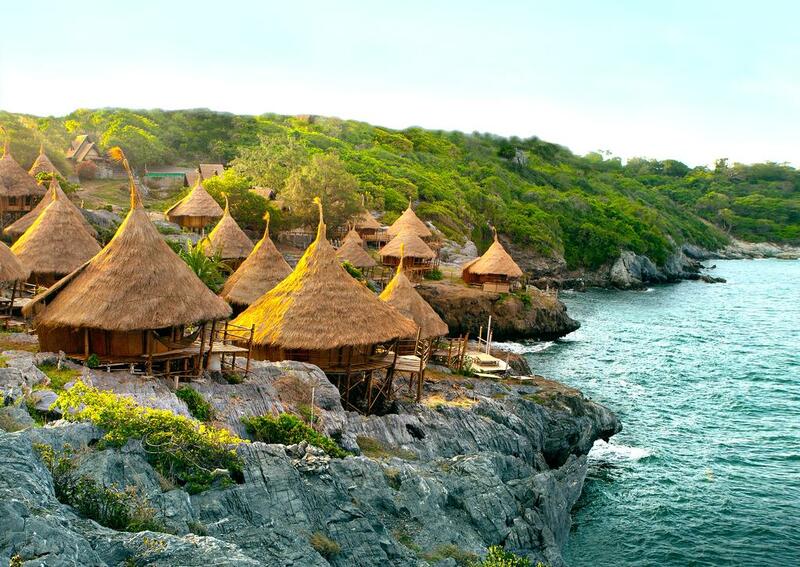 + Accommodation: Unless you are a Robinson Crusoe, let’s stay at Buritara Resort & Spa near the main island. 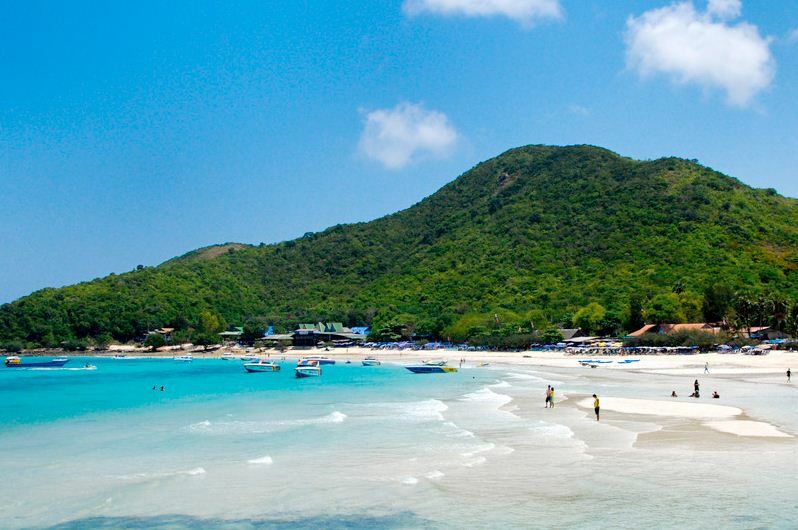 + How to get there: Go to Sattahip (Chonburi) by Ekkach bus in Bangkok. There are no ferries on the island, but many tour operators in Sattahip are ready to take you to Koh Khram Yai for a day at 1000baht. Let’s visit these beautiful islands to feel relaxed and immerse you in the nature and culture of your self-guided Bangkok trip. Surely, you will forever be attached to beautiful paintings in this place.